Sydney Shop Girl: Lovin' Life 19/10/2017: Recharge Here. Lovin' Life 19/10/2017: Recharge Here. It's the middle of October and I'm, rather predictably, feeling a little frazzled and looking a bit like Preschooler SSG's stuffed toys. The year's gone by at breakneck speed. Nothing major's happened, it's just that so much of it has happened and I've just been juggling and balancing to keep it all ticking over. So many analogies thrown together in that sentence but you get my drift. I'm sure you're probably feeling the same about your year too. What I'm loving this week have been things that have helped me recharge to some degree. What I actually need is the Christmas / New Year break (I've got Christmas entirely off and only have to do on call from home on New Years... fist pumps all round) but in the mean time, here's what's been topping up my batteries. That time alone I have each morning to exercise. I generally start on this treadmill right next to the phone charging station. The symbolism. I've found myself a new perfume. It's called Portrait of a Lady and you can find it at Mecca in various sizes. The perfume was actually named after the Henry James novel. 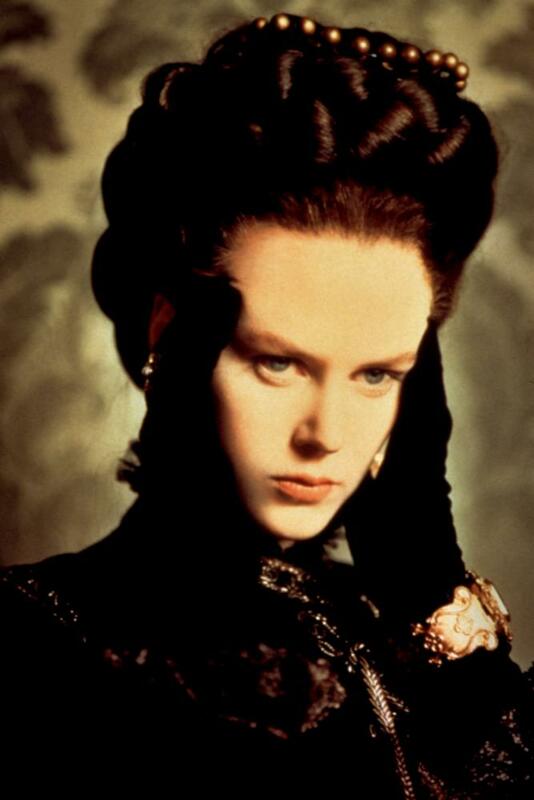 I unfortunately, am yet to read the novel but I do have a picture in my mind of Nicole Kidman in the title role of the film adaptation. From what Google tells me, Nicole as the newly wealthy Isabel Archer finds herself manipulated by Barbra Hershey's character into a questionable relationship with John Malkovich's Gilbert Osborn. I've been stealing ten minutes here and there to put my wound up mind and body through a few slow yoga poses. Just before bed in my pyjamas, on a Saturday afternoon in my trackies.... Much better for me than if I'd spent the time scrolling through the socials or filling yet more shopping carts virtually. And then there's those guilty pleasures that you know are bad for you but you can't resist anyway because they're just a bit mindless. I speak of course of the weekend papers and the gossip they carry within their pages. I did turn to page nine straight up and was rewarded with a hit of tabloid distraction. It's the simple things. Love your multiple distractions SSG - especially the last one! Nothing like coffee and the weekend papers to bring that sense of relaxation. I often wonder whether the Millenials get the same buzz from whatever trendy beveridge they drink on the weekend and reading stuff on their phones??? It sounds like a lovely perfume! I still haven't gotten back to perfume after going spectacularly off it when pregnant, even now it's one of the things that still makes me queasy, and I wore my fave one almost daily for years before! It's awesome you get a bit of a break at Christmas time. I'm trying to sort out my leave now, I was trying to get in early but really it's not that far away as it's near the end of October! October always seems a crazy month for me, so I know what you mean. I'm sure feeling a bit more over it all and ready for a break, than i am usually at this time of year. I suspect that having a teen in the house who has anxiety and is in his final year of school has a lot to do with it. We seem to be lurching from one set of exams straight into the next without any let up. Thankfully this time next month we will be all done & the chapter that was high school will finally be finished. In the meantime, coastal walks, yoga and my Friday night wine, chocolate & some mags help recharge the batteries. Love the last one! I would have turned straight to page 9 too. And yes, love the symbolism of you recharging your batteries. I'm all for time alone to exercise and yoga. Hope you get to do more simple things to recharge, SSG. Life This Week 30/10/2017: Travel Tales. Friday Drinks #17: Summer Ready. Summer Reads. Lovin' Life 26/10/2017: The Lego Jar. Yumboxes, Artwork and A New Easel. Lulu v Betty: the Tank Edition. Lovin' Life 12/10/2017: Balmain. Efendy. Life This Week 9/10/2017: Any Regrets? Friday Drinks #16: Thank Goodness You're Here. Lovin' Life 5/10/2017: Teabags and A Matinee. Advent Calendars, the Beach and Other Things.